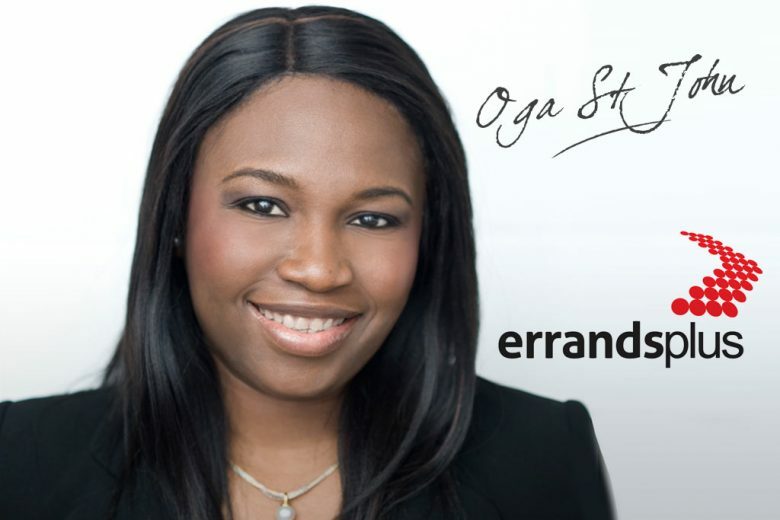 Oga St John is a mum of two and owner of Errands Plus, an errand running service for busy individuals and organisations in and around London. She explains how she used the skills she learned in a career as a PA and office manager to build her business, and why branding is so important to her. Why did you start errands plus? Running my own business was always a matter of ‘when’, not ‘if’. The perfect opportunity presented itself at the end of 2008 when I had just completed my master’s in environmental sustainability and was wondering what my next career move would be. I had worked previous high pressure roles as an office manager and PA to the CEO of an international bank, but I didn’t want to go back to a 9-5 job with a young family. So I decided to set up something myself. By this time, I had been researching the concept of concierge services for a while and it made sense to leverage on my organisational, problem-solving and project management skills to serve not just one CEO now but… well, everybody, really. I knew there were lots of busy people out there who were pressured for time, and I knew I had a natural ability to take on tasks and fulfil them beyond the best expectations, but the real challenge was getting people to recognise that they needed what I had to offer. How did you research your market and the need for your service? There’s plenty of web-based information out there about the concierge industry, but it’s mostly American. For me this was a blessing and a challenge – a blessing because it was fairly easy to access the information, and a challenge because I had to make it work in London. So I started talking to friends who worked in the city to find out if it was the sort of service they would use. I offered to run errands for free to demonstrate the value of the service, and while some milked the situation a little, it was an important learning ground for me. I also spent time one day standing outside at Canary Wharf asking random executives what they thought of my idea. All of them said that they’d use it – that was all I needed to hear and the rest, as they say, is history! That said, research is an on-going part of my work and I constantly have to adapt our strategies to our clients’ needs in order to stay relevant and on top of our game. When did you launch the service and how did it go? We launched officially in January 2009. At the start, finding clients wasn’t smooth at all. No one likes to have a stranger invade their personal space, so we’ve had to educate and convince people about the value we bring. We offer a highly personalised service, so we’re constantly managing expectations. But I love it! The more challenging a task, the more fun it is for me. My general mindset is that ‘All things are possible’. Call me weird, but it’s just the way I’m wired. What kind of errands do you run? We get to run all kinds of errands. The regular ones are queuing errands for tickets at places like the National Gallery and for museum exhibitions. We queued for an average of five people a day for the Da Vinci exhibition. We worked round the clock every day for the three months that the late tickets were on sale, with runners getting there at 5am in some instances, just to ensure we got tickets for our clients. We also do sports memorabilia signing requests, and our runners have met quite a few footballers. We’ve worked for famous people, too. Sometimes you don’t even know who you’re working for until they send a cheque or a thank you note, then you see the name and it dawns on you! We have queued for the X Factor and stood in line to get celebrity autographs. We also get asked regularly to wait in someone’s home for a plumber or special delivery. We’ve also had more unusual requests, such as flying to Morocco to get pure Argan oil, posting Halloween biscuits to the US, and buying Dr Who t-shirts for US fans of the show. We’ve taken a car seat to hospital after a mum gave birth to her baby early, and had lots of requests from expatriates who need help finding their way around London. Just recently a client wanted to propose to his girlfriend at the top of the Shard and requested for an errand runner to stand on the London Bridge with a huge ‘Will you marry me Chloe?’ sign. The plan was for the unsuspecting bride to look down and see the sign. Luckily, she said yes! How have you built your brand and reputation? If my name is going to go on anything, it has to be the best I can do at the time, within my means. If it’s not good enough, I won’t put it out there. Period. There’s nothing wrong with starting small, but small doesn’t have to be shabby. We’ve done a lot of work building our brand and getting people to trust in our capability. We’re the only errand running company I know currently offering a full refund on errand cost if a client is dissatisfied. Reputation building is an on-going process. As I said, we’re constantly managing expectations and doing our best to surpass expectations while learning from every opportunity we’re presented with. I get asked this question a lot! I have two sons, and I do a lot of work at home while they’re at school. Since we moved to Kent, I make a point of not going into the London office as much and I fit work and travel around the home schedule when I can. For me down time is as important as work time so I get some swimming time in every week and spa visits are a monthly must, especially with Groupon vouchers. I make time for evenings out with the girls, or theatre time with my husband,and all these activities help clear my head and keep me focused at work. Importantly, I plan well and delegate when I need to. It’s essential to delegate where you can, and trust other people to deliver. What’s your vision for the next five years? Growth! We want people to have us on speed dial to take care of tasks and help them save time – not just in London but nationally. We want people to know that we’re not just a luxury for busy executives. Everyone can use us for everyday errands – mums, dads, anyone can call us for help. I also want to get involved in charitable work. It’s part of our group strategy going forward to give errand time to people who need help but can’t afford it. It’s not always about work and life – someone might not work but can’t do simple tasks and we would love to step in and be of some assistance to them. You can find out more about Errands Plus on their website.